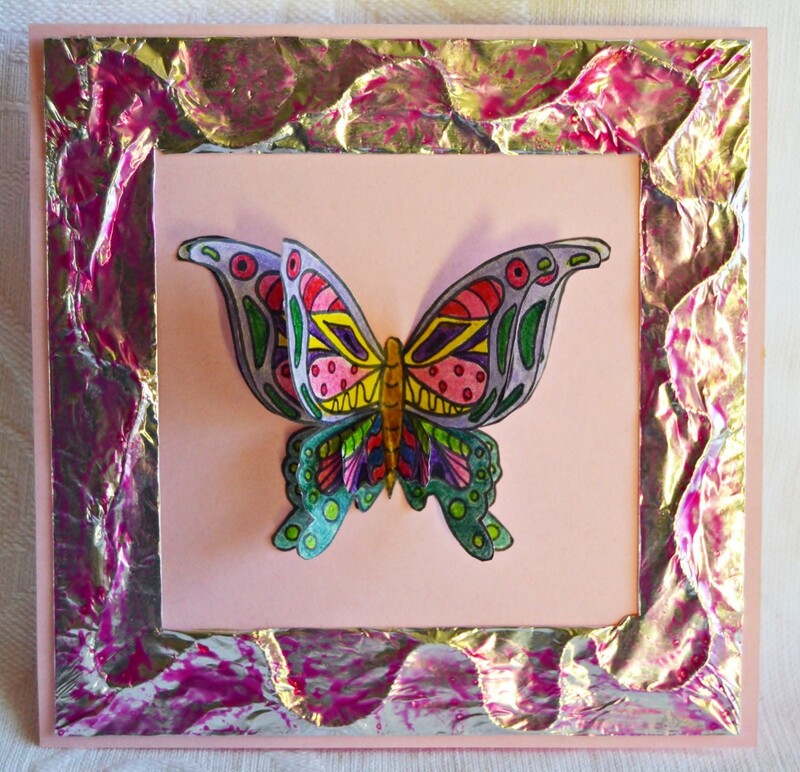 Turn the butterflies from an adult coloring page into a stunning birthday card. The recipient will definitely cherish this card for many years to come! 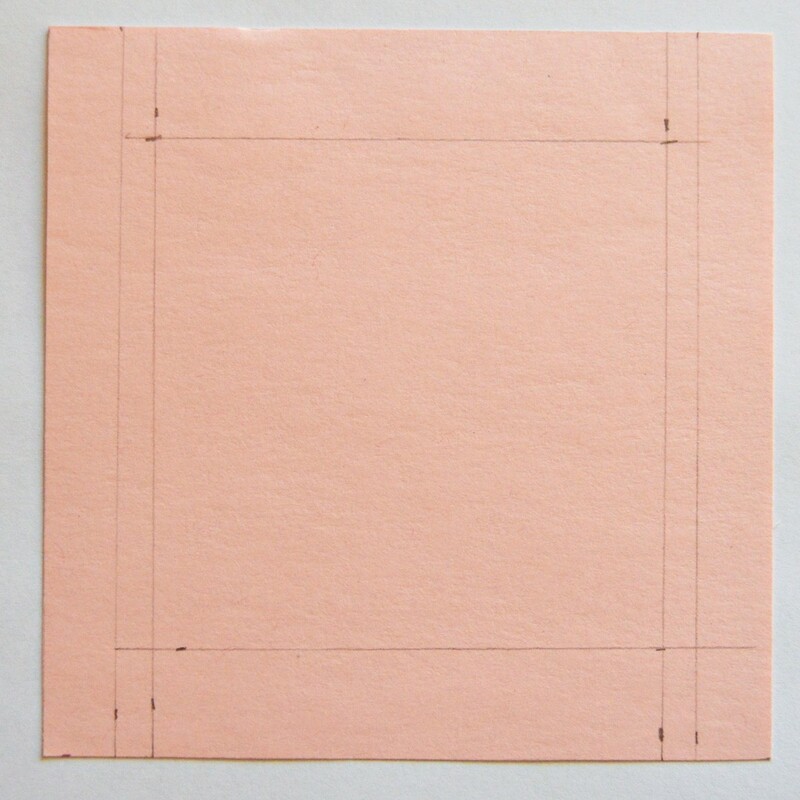 Score the 10.4" x 5.2" pink cardstock to create a card sized 5.2" x 5.2". 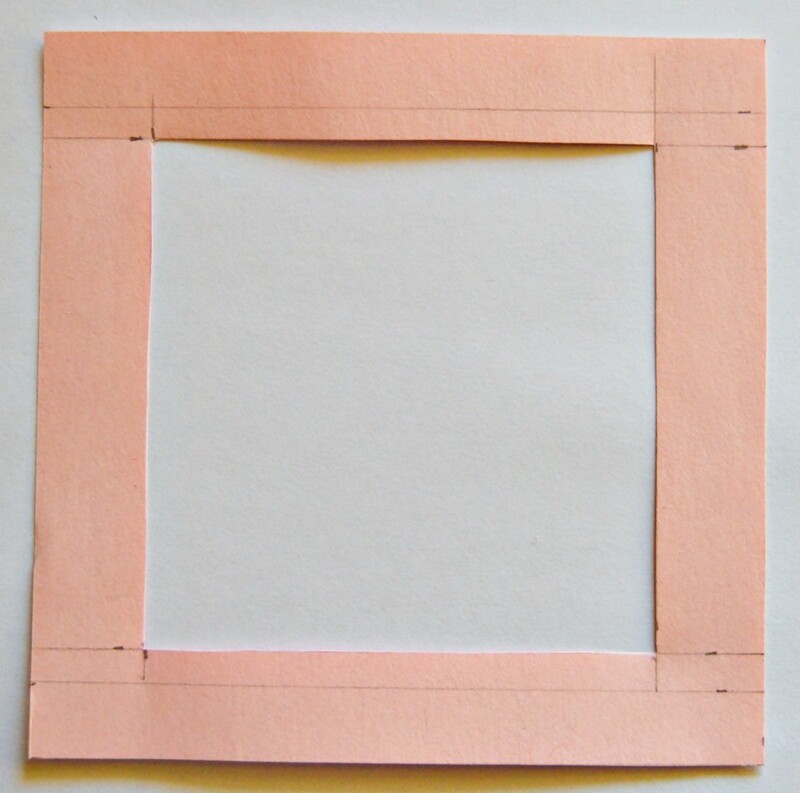 Take the 5" x 5" piece of cardstock and cut out the inside, leaving a space of 0.6" from the outer edges of this piece to make a frame. 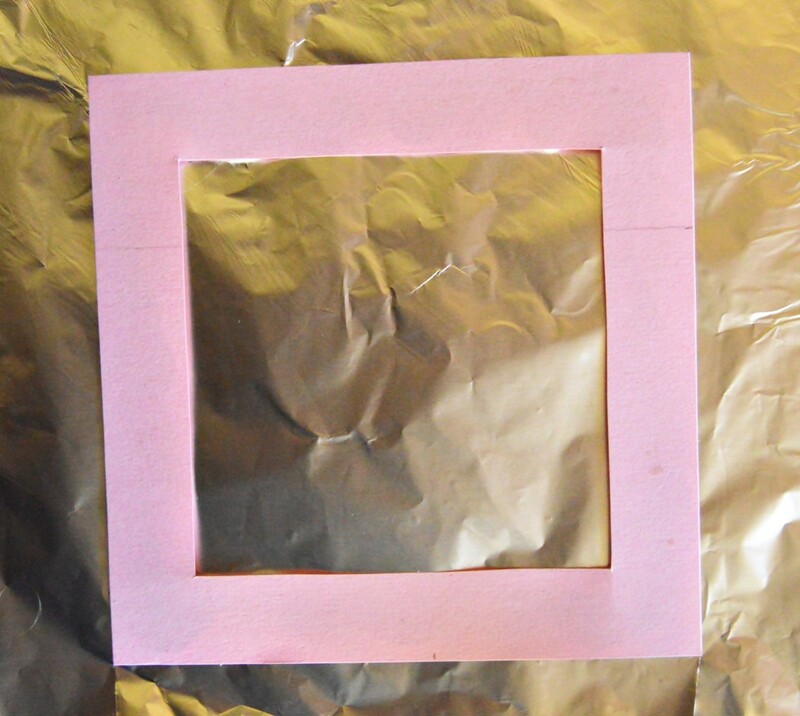 Cut a piece of aluminum foil that is slightly bigger than the frame. 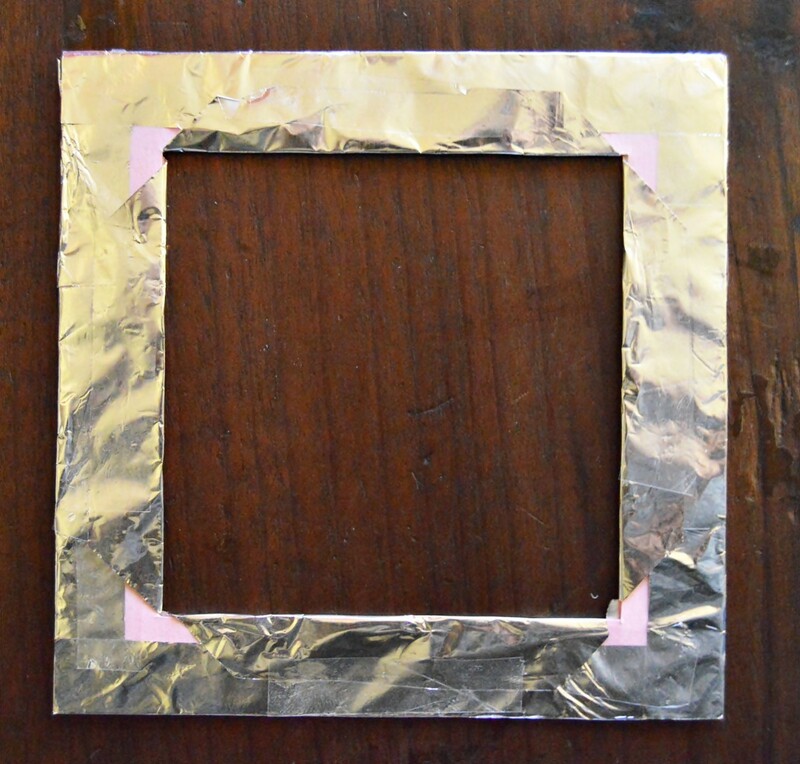 Cut flaps in the foil, fold the outer flaps to the back of the frame and secure with sellotape. 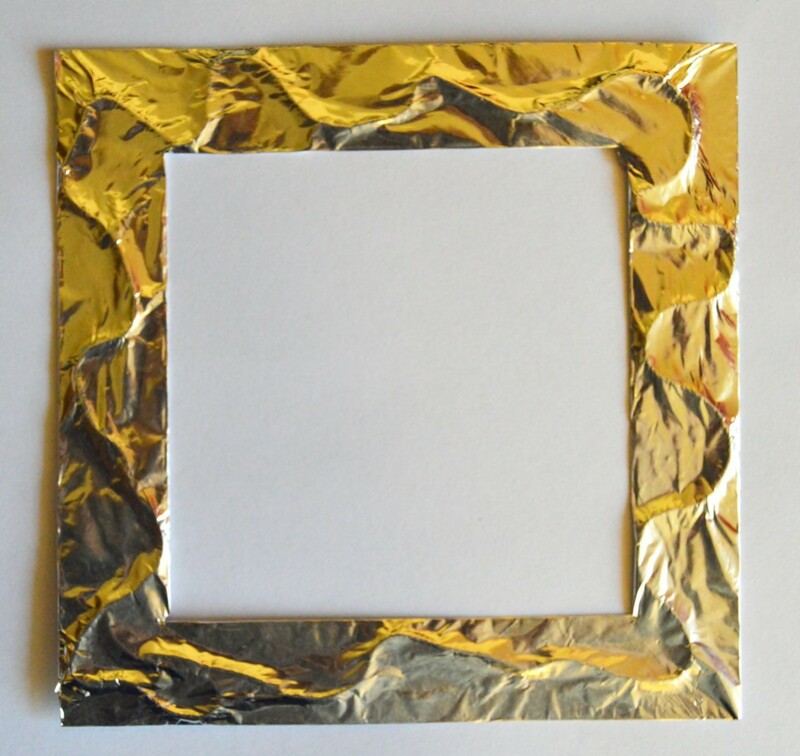 Cut out the inside of the foil, fold the inner flaps to the back of the frame and secure with sellotape again. 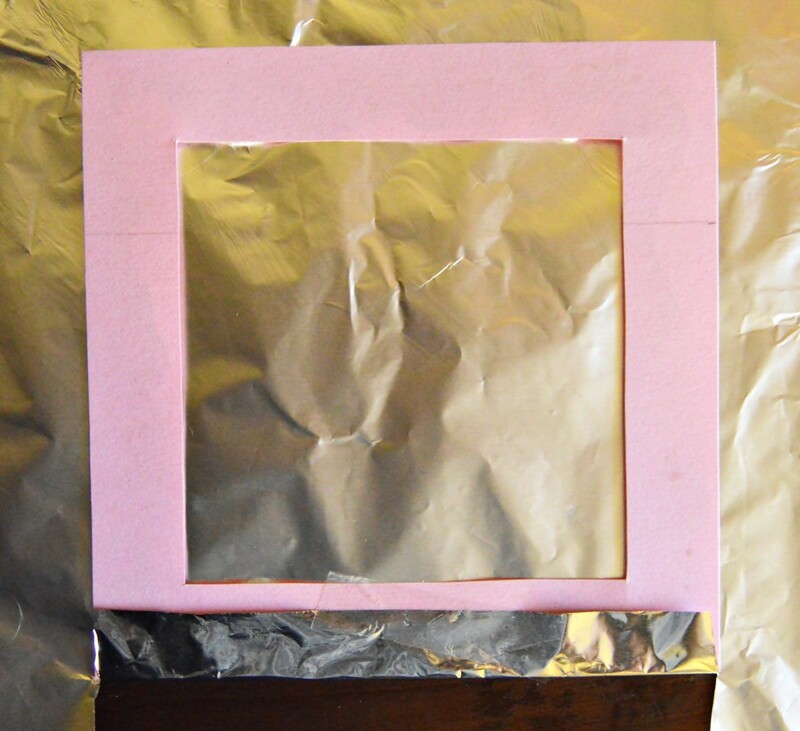 Turn the frame over and use your finger to gently press the foil down around the twine. 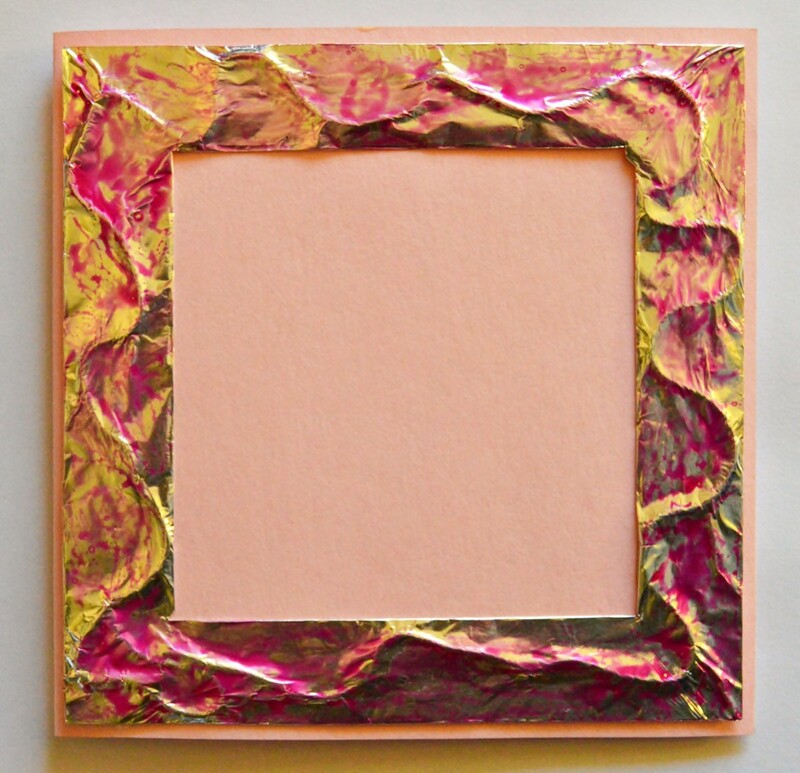 Use the glass glaze and the paintbrush to add some detail to the foil frame. Allow to dry thoroughly. 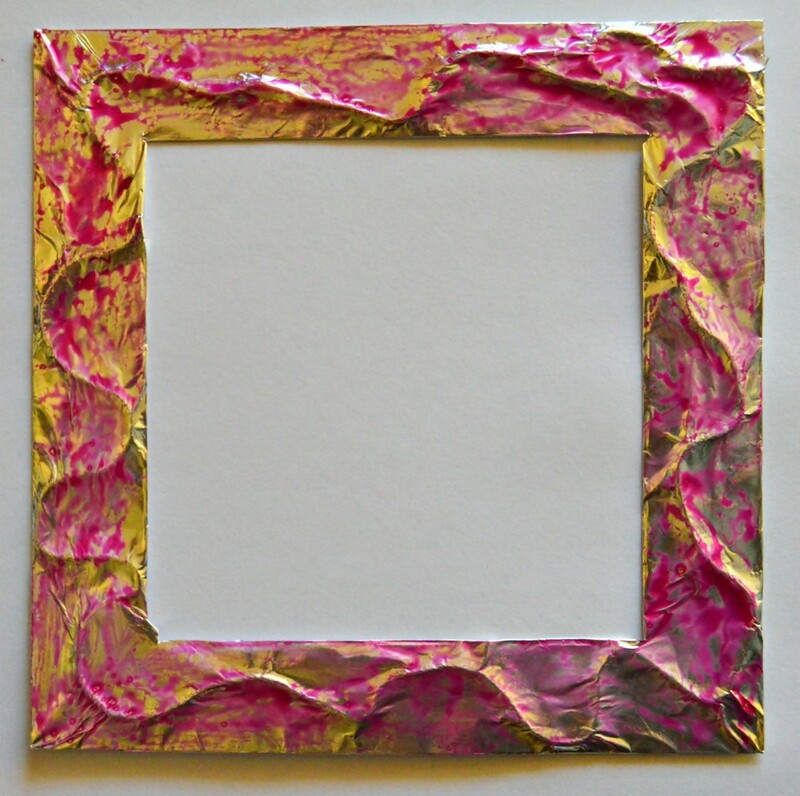 Spray the frame with a coat of hairspray and allow to dry again. 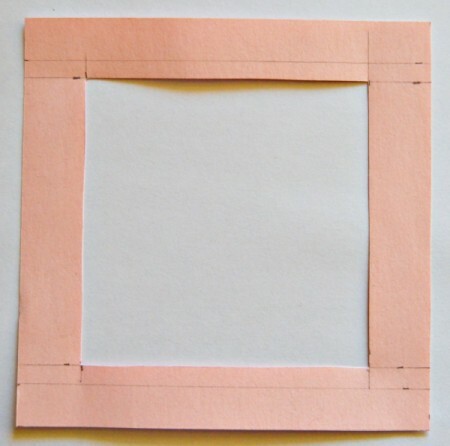 With the fold at the top, glue the frame to the front of the card. Cut three colored butterflies from the colored page. 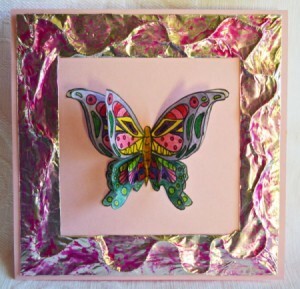 Glue the first butterfly to the card, gluing it inside the frame. 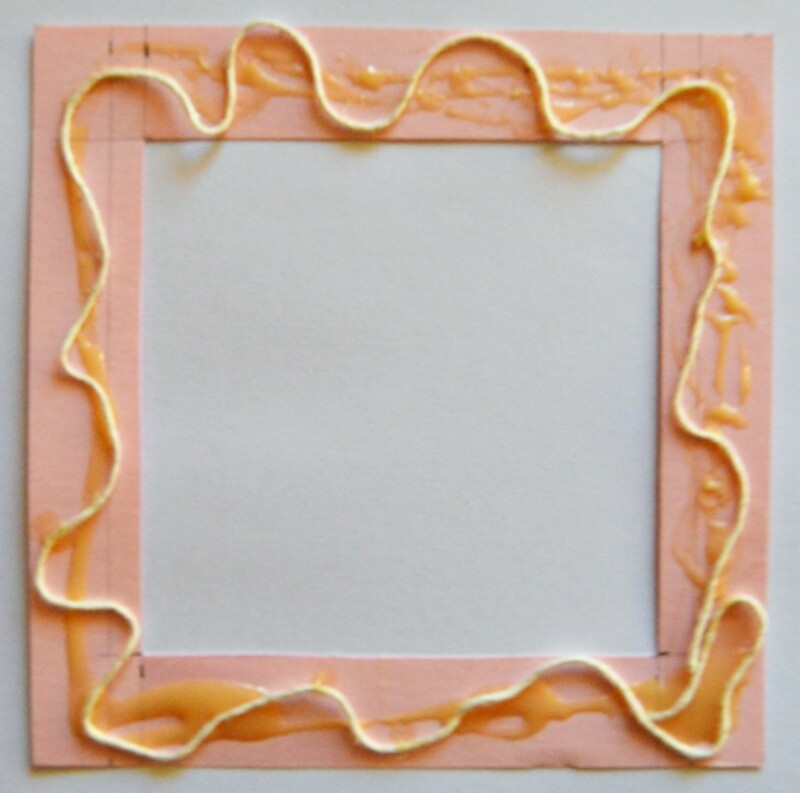 Glue the second butterfly on top of the first, but do not glue it down completely. 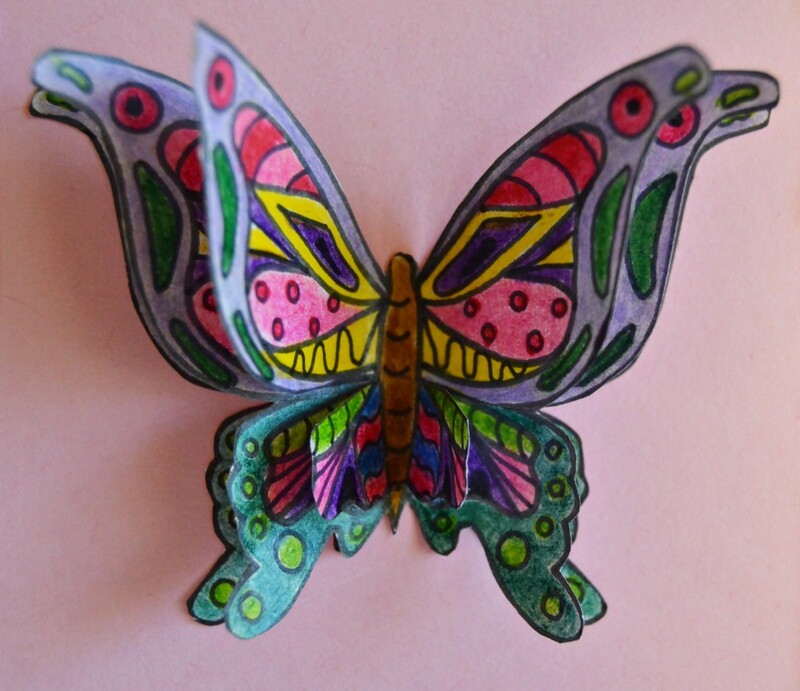 Only add glue to the body of the second butterfly. Cut out the body, front wings and parts of back wings of the third butterfly. Glue the third butterfly on top of the first two, gluing down only the body and not the wings. 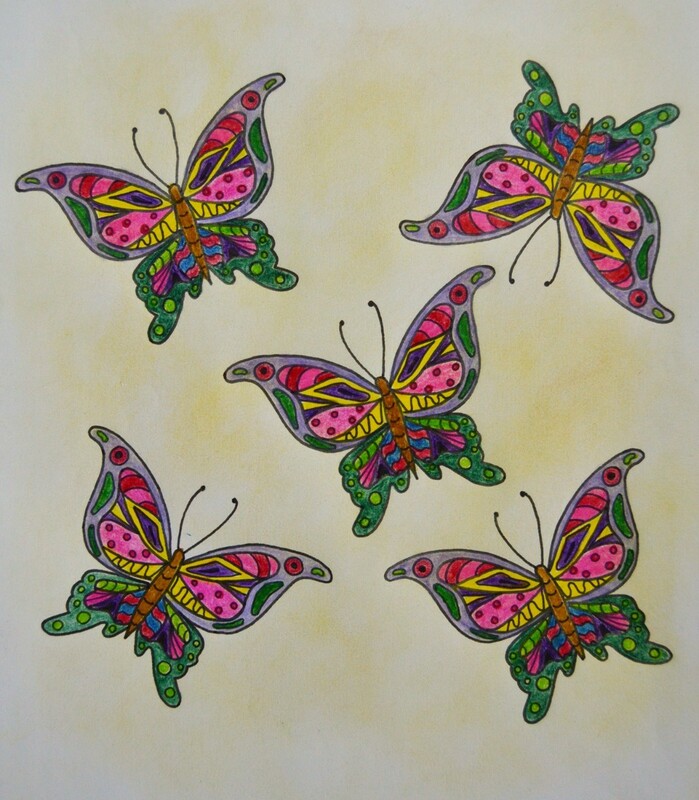 Allow to dry before bending the wings of the second and third butterflies upwards to create a 3D effect.